I was born of clan K'turadgenix, one of the border clans that inhabit the northern border of the Vesve forest. 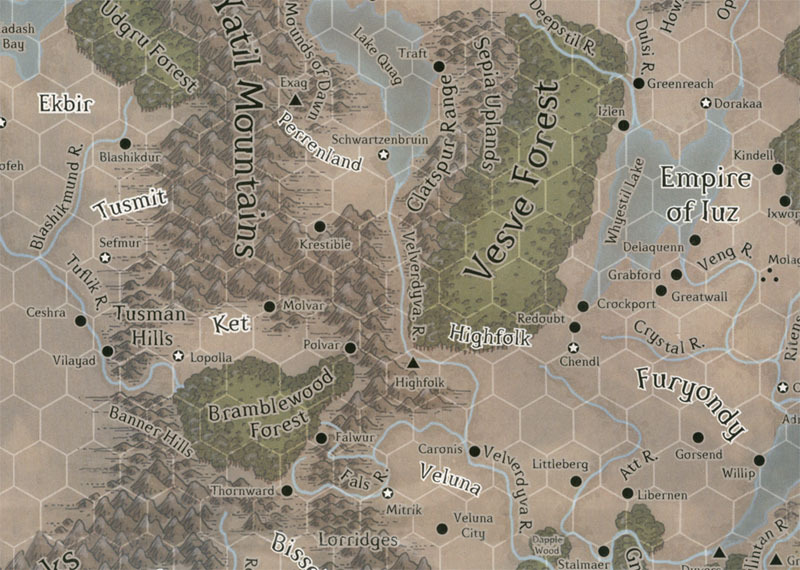 The K'turadgenix clan is no more, the war having wiped out most of the elders and warriors, and the next generation of the clan has been scattered to the four corners of Greyhawk. 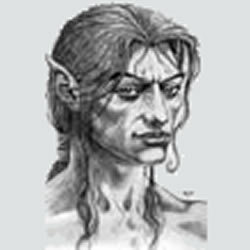 Many of the wild-elven border clans of the Vesve were headhunters, who preyed upon intruders into their realm. A bit more aggressive than most wild elves, we tolerated no transgression upon our territory. The K'turadgenix clan took our killing craft even further and put spiritual context to it. We worshipped Fenmaril Mestarine, or Great-Grandfather Wolf as we had called him, who legend has it, taught the first of the clan the arts of assassination... stealth, stalking, poisons, and night-fighting. Killing to us has become a religious observation; a sacred duty, granted by god, to protect our land and kin. Some of my clansmen went abroad to test their deadly trade in the world outside the forest. Though such instances were rare, they account for any knowledge of the clan to the outside world... as well as any enmity the world might have against our name. I was too young when I left to have the opportunity to undergo the trials to adulthood and learn the killing arts when my clan was obliterated. I fled with my cousins on the order of our shaman-chieftain, who proclaimed that the K'turadgenix clan must live on, soon before the horde hit. Now, with my clan no more, I must make it on my own in the world and find my true destiny.
" Your death will honor my clan and bring me closer to god."